Toyota Mirai Review 2019 | What Car? 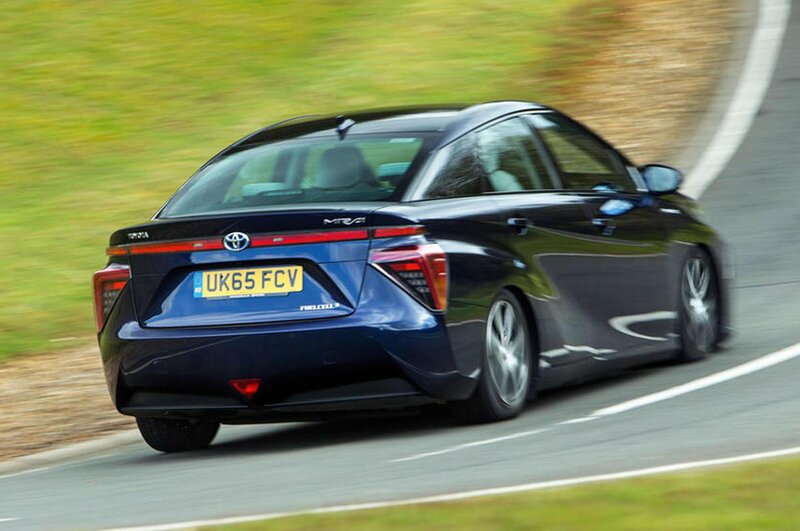 It may appear to have been driven straight off the set of a mid-1990s sci-fi film, but the Toyota Mirai could be the answer to our current emissions problems. 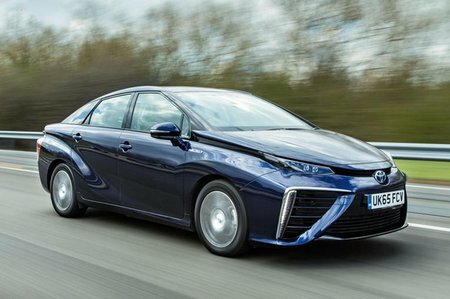 Unlike conventional petrol and diesel-engined cars that emit carbon dioxide, the Mirai emits just water pure enough to drink. So does some sort of witchcraft power the Mirai? No, it’s actually an exceedingly clever bit of technology called a fuel cell. This takes hydrogen (the most common element in the universe) and oxygen from the air to generate electricity in a chemical reaction. Handily, the hydrogen is stored in tanks that can be filled in less than five minutes and give a range of up to 342 miles. Look past its kooky appearance and high-tech underpinnings, and the Mirai is actually a fairly conventional four-door, four-seat saloon that is a little longer than a Ford Mondeo. Just don’t expect a vast amount of room inside for people or luggage; the hydrogen tanks, battery and fuel cell take up quite a lot of space. Keep reading to find out how the Mirai performs on the road; what the interior is like and how much it’ll cost you. If you’re taken with the idea of a fuel cell car, have a look at our reviews of the Hyundai ix35 Fuel Cell and Honda Clarity FCV as well.